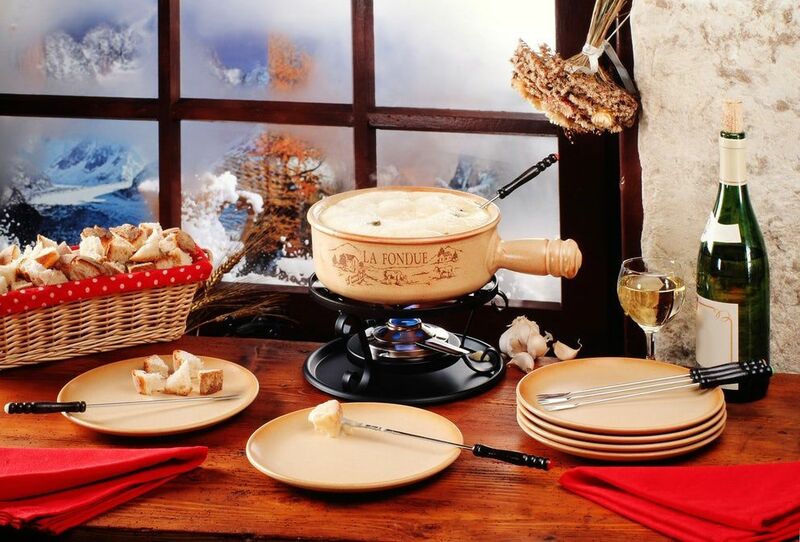 Home Food Fondue: The Cheesy Delight You Cannot Say No To! 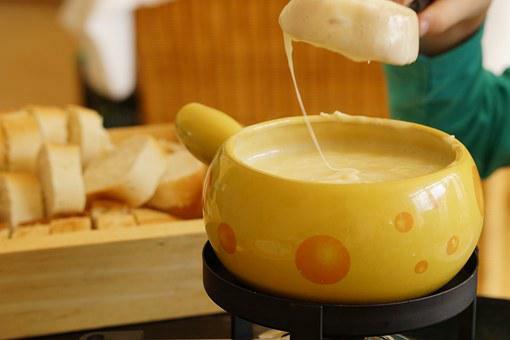 Fondue: The Cheesy Delight You Cannot Say No To! Try this Swiss dish to trickle your cheesy taste buds! A pot of oozy melting cheese, with a candle below, and some bits of bread to dip into the cheese and cherish that stringy and lovely cheese flavor, can you stop eating? It sounds irresistible, doesn’t it? Sitting with a group of friends or your family and relishing this dish would add so many memories to your mind, and so many calories to your stomach, you wouldn’t even know. But trust me, its worth it! This Swiss dish, called the fondue is an absolute treat for the cheese lovers. Even pizza and pasta cannot beat the cheesy pleasure that this dish would give a cheese lover. Don’t call yourself a cheese lover if you haven’t tried the fondue! The fondue is a Swiss delicacy, which essentially consists of melting cheese in a communal or fondue pot, over a candle or a small hot stove. It is eaten by dipping assorted types of bread into this melting cheese using long sticks. The melting cheese pot consists of many varieties of cheese, which include gruyere, mozzarella, cheddar, brie, gouda, goats cheese, cream cheese and even parmesan. The type of cheese used varies from region to region. Apart from cheese, the mixture also has some white wine, herbs, garlic, and sometimes Kirsch, which a type of brandy. The best part of fondue is that you can add almost anything to it. You can add any vegetable or meat of your choice. You can add anything ranging from mushrooms to olives, chicken, mutton or even some tomatoes. The whole experience of dipping that hard bread, and seeing it mix with the cheese and become softer, and then popping it into your mouth is the best experience ever! Melted chocolate melts my heart! But cheese isn’t the only flavor of fondue. Fondue comes in many types. It comes in chocolate and oil flavor. 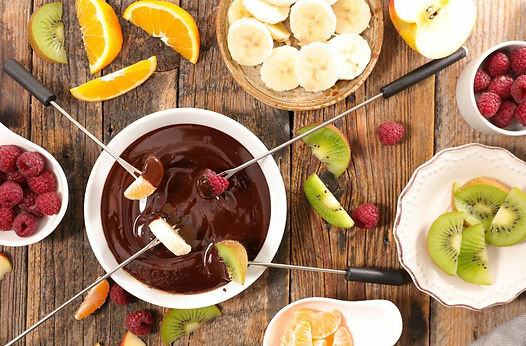 The chocolate fondue has melted chocolate, which is flavoured with rum. Fruits, marshmallows or pastry are dipped in this melted in the mixture. The other type of fondue is oil fondue. Pieces of meat are dipped in hot oil to cook them. Different types of dipping sauces are given with these cooked pieces of meat. Fondue is a great dish for gatherings, it is a very filling dish. It is easily available nowadays, and certainly deserves a try!